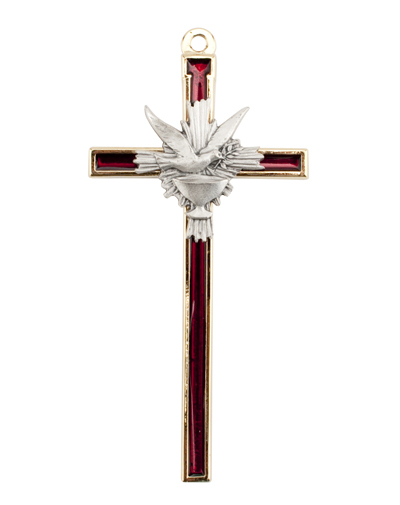 RED ENAMELED CROSS WITH ANTIQUE SILVER HOLY SPIRIT DOVE and Chalice emblem. Measures 4.5 inches. Makes the perfect Confirmation gift for a boy or girl.